You are here: NECAOnline.com » Blog » News And Announcements » NECA Goes Green! Posted in: News And Announcements- Jun 17, 2011 Comments Off on NECA Goes Green! 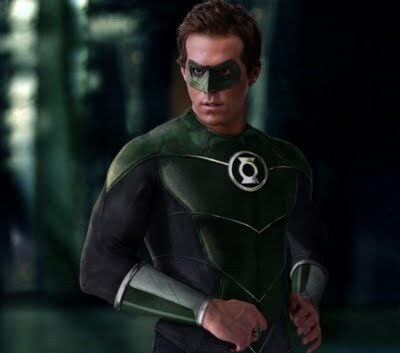 This weekend marks the release of one of 2011’s biggest movies: The poignant and touching drama How Green is Your Lantern?, in which Hal Jordan goes on a quiet, explosion-free journey of self-discovery and comes to terms with the great secret of his childhood. Okay, maybe not. Even better, Green Lantern is this summer’s most action-packed superhero extravaganza, and we here at NECA couldn’t be more stoked for its release. Starring Ryan Reynolds‘ abs (sure, the rest of him too), the movie tells the classic comic book story of Hal Jordan‘s joining the interstellar league of the universe’s protectors, managing to save, oh, everybody, in the process! Because as everyone knows, when it comes to saving the universe, Planet Earth is where it’s at. First thing’s first. Caffeine addicts, you are near and dear to our hearts. Your Green Lantern thermal mugs have arrived. We’ve got a Hal Jordan special and a logo mug, and both of them change their face when your precious lifesblood (aka hot coffee) is poured in. Have at it. For those who just can’t take the heat and anticipation this summer and find the sweat pooling on their brow, we’ve got two ultra-absorbent terrycloth wristbands, one featuring only the greenest of lanterns and one with the movie logo included! If you’re a lover of the original comic and want to roll old-school with it, don’t worry, we’ve got that too. If you’re the needs-attention-in-the-theater-type (you know who you are), our light-up Green Lantern ring should get the job done nicely. 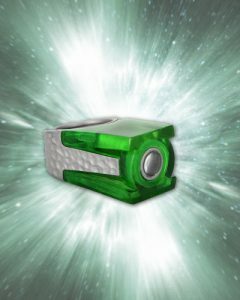 And should you want to change it up your second or third time seeing the movie, we’ve got another ring that actually projects a Green Lantern logo! And no, we haven’t forgotten that this weekend is also Father’s Day. Dad’s desk will never be the same once it’s graced by one of our Green Lantern paperweights, and though we’ve heard of shelves without bookends, we’ve never seen them personally and can’t imagine they’re any fun at all. Of course there’s more. Tons more. We’ve got Head Knockers, pins, keychains, rubber bracelets and a snow globe, which should be plenty to get you started on your Green summer. We’ll see you at the theater this weekend, and make sure you check back here all summer long for more updates from NECA on your favorite movies, games and much more!